BE MENTORED to BE A BETTER YOU! Are you being mentored? Are you taking the time to be developed as you develop others? Or are you still doing the same things you’ve always done just hoping for a different result? If so, you are truly missing out. You are missing out on opportunities to BE A BETTER YOU in a way that will develop you to BE BETTER in all you do. Not just to BE BETTER in your fitness, training clients or developing your department. You’re missing out on growing to BE A BETTER YOU in ways that will positively impact every area of your life just like John of the LOVELAND-SYMMES FIRE DEPARTMENT experienced! Generating a program to allow you to BE A BETTER YOU and much more! But there is an essential key to being a mentored. It’s finding the right person and the right outlets. Too often people are expected to fit a certain category or ‘box.’ This consequently causes them to attempt to be like the mentor and not like themselves. As a result they are left thinking that they are either good or bad as a result. To BE A BETTER YOU is not about being someone else or about good vs bad. It’s simply about allowing yourself to BE A BETTER YOU and for that there is a meaningful and valuable point you need to understand…BE YOU! This is essential for developing yourself into a BETTER YOU. Failure to take time to understand who YOU are and what YOU are about will cause you to try and be something else. To be something else will inevitably need to failure and missed opportunities to grow. That is why it has been a pleasure to share this message with firefighters and trainers across the country in a way that allows them to understand that there is NOTHING WRONG WITH YOU! Who you are isn’t good or bad, it is simply YOU and YOU in all your complexities! Those complexities come by way of strengths and under developed strengths. So what happens when you take time to BE YOU? See the text message below from one of the members of the BE DYNAMIC 8 Week Fitness C.L.I.M.B and his experience in taking time to BE HIM! I TOOK WHAT WE TALKED ABOUT TO HEART. MY WIFE WANTED TO TAKE THE GIRLS TO THE Y TO GO SWIMMING. I HAVEN’T BEEN SWIMMING SINCE HIGH SCHOOL GYM CLASS. TOOK MY LITTLE ONE IN THE 1′ DEPTH AREA WEARING A T SHIRT. SHE WANTED TO GO IN THE DEEPER STUFF, AND I THOUGHT ABOUT WHAT YOU SAID ‘ YOU ARE NOT WHAT YOU LOOK LIKE.’ TOOK MY SHIRT OFF AND INTO THE LAZY RIVER. LEGITIMATELY THE FIRST TIME IN DECADES WITHOUT A SHIRT ON IN PUBLIC. HAD SOME PEOPLE LOOK, BUT THE SMILES ON MY BABY’S FACE WAS MORE IMPORTANT. SCRE THEM, AND THANK YOU. The thing is that most people fail to fully realize who they are as a trainer, firefighter, friend, mentor and more simply because they haven’t taken the time to BE MENTORED themselves. That is not something you are intended to do alone! I can say this because as a 14 year natural competitive bodybuilder, I had to come to the place of accepting that I had achieved the extent of my own capabilities and needed to BE MENTORED! This came way of a wonderful coach by the name of MARQUES CAUDLE. After training a few different mentors it was apparent that they weren’t the right fit for me. But MARQUES provided something different for me. He took time to learn ME! Rather than putting me into a system that is generic, he has actively taken the time to understand what I am about and what I need to BE BETTER! By taking time to understand what is best for my progress personally and in bodybuilding, he has taught me in many ways how to support others in doing the same. Are you being mentored? Are you taking time to have someone who is willing to understand you and then offer you the support you need to BE A BETTER YOU? If not you are missing out. It has been a joy to support others in great ways to do just that! TO learn themselves by taking time to LISTEN and UNDERSTAND in a way that provides real tangible growth and progress so that you can BE BETTER for your department, clients, friends and family and above all yourself. You have a mentor in me. Whether you are a firefighter, trainer, fitness enthusiast or someone just looking to improve their health and fitness through TOTAL WELLNESS… YOU HAVE A MENTOR with ME! All you need to do is reach out by emailing jponder@fd-pt.com to learn how you can BE MENTORED in a way that allows you to BE YOU and supports you on your way to BE A BETTER YOU! To BE A PART of this training email jponder@fd-pt.com or click the link below for more details! Thanks for visiting our blog! Firefighter Dynamic Performance Training is your resource for the latest in fitness and injury prevention. If you liked our content, please subscribe below to get updates whenever new content is pushed to our site. 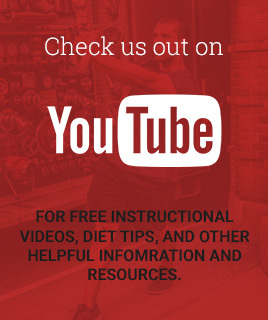 Also when you subscribe you get FREE access to our OFFICIAL BLASTMASK(tm) WORKOUT video tutorial and 12-week program! Be Dynamic! Jordan Ponder is the founder of FD-PT and a 12 year veteran EMT-B practicing as a Captain for the Milwaukee Fire Department. 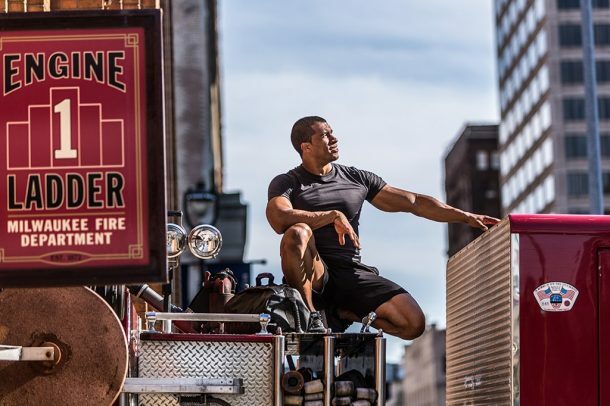 As the Lead Peer Fitness Trainer for MFD and campaign director of FD-PT, he educates emergency responders on how they can reduce injuries by preparing for the demands of emergency scenes in new and fun ways.